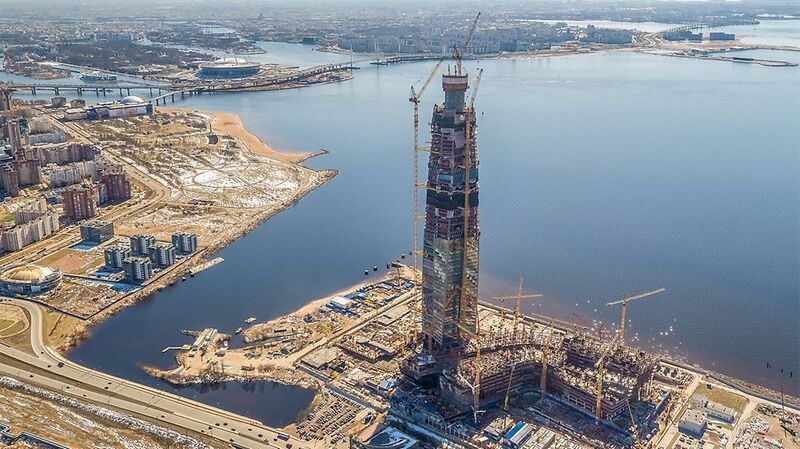 After completion, the Lakhta Center will become the largest business centre in Saint Petersburg with a usable area of 400,000 m². 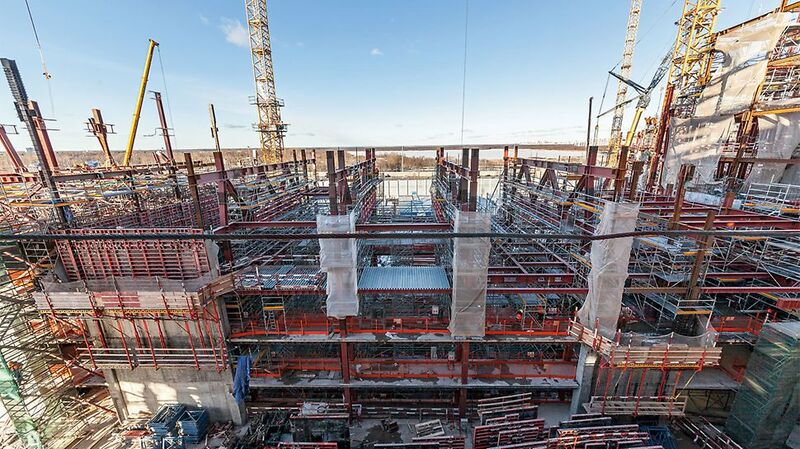 In addition to office space, the complex includes a science world for children, educational facilities, sports and recreation areas, a variety of public services and a unique amphitheater overlooking the Gulf of Finland. The high-rise office building forms the centre of the complex. 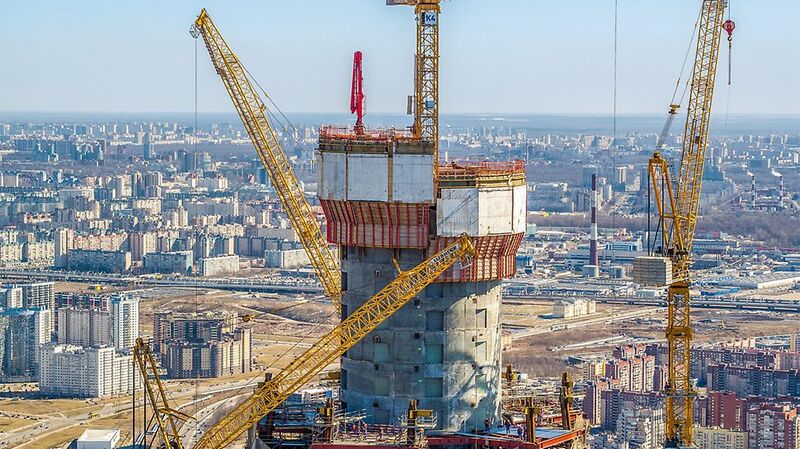 With a height of 462 m, the multi-storey structure will be the tallest building in Russia and Europe at the moment. 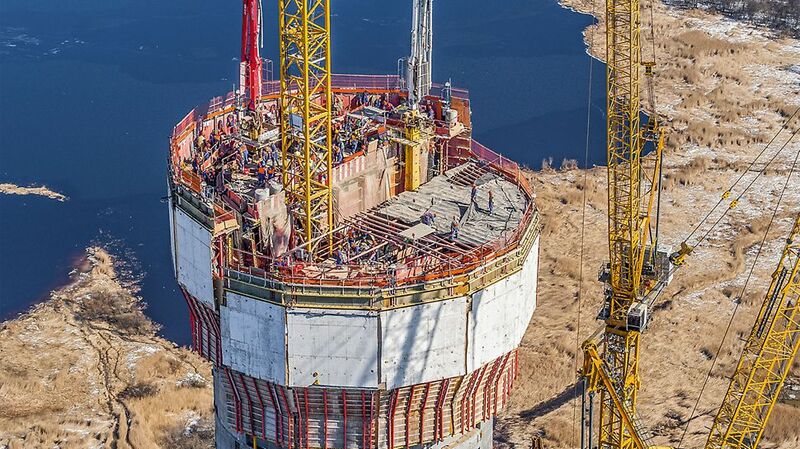 On its top floors a panoramic point view and a restaurant are going to be. A new record was set when the foundations were concreted (completed on 1st March 2015): the work went into the Guinness Book of Records as the largest continuous concrete pour. 19,624 m³ of concrete was installed which is around 3,000 m³ more than the previous record holder, the Wilhire Grand Tower in Los Angeles. This particular project was not just about the delivery of the formwork. 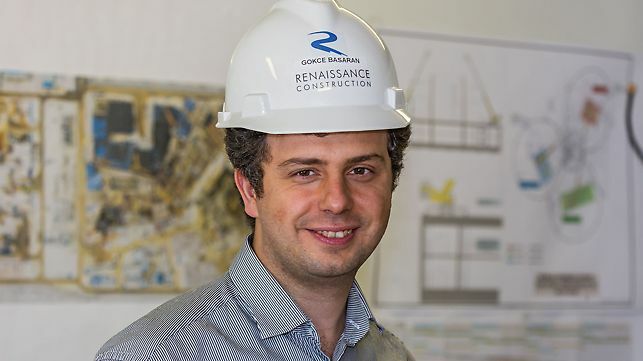 The biggest task was the planning of the appropriate systems with which we were able to implement both the architectural design and safety requirements as well as complying with the construction schedule. Therefore, we are extremely pleased that PERI has supported us with its engineering expertise. 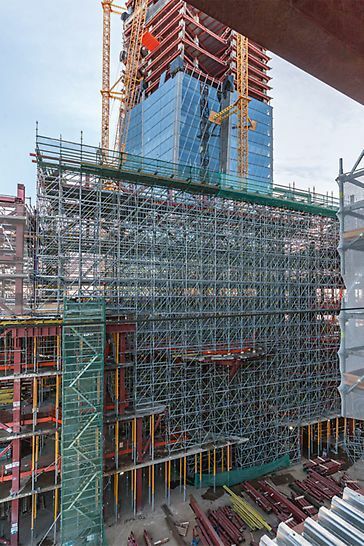 The ACS Self-Climbing System, RCS Climbing Protection Panel and all smaller and larger formwork and scaffolding systems from PERI are designed with respect to high quality, work safety and efficient working practice. 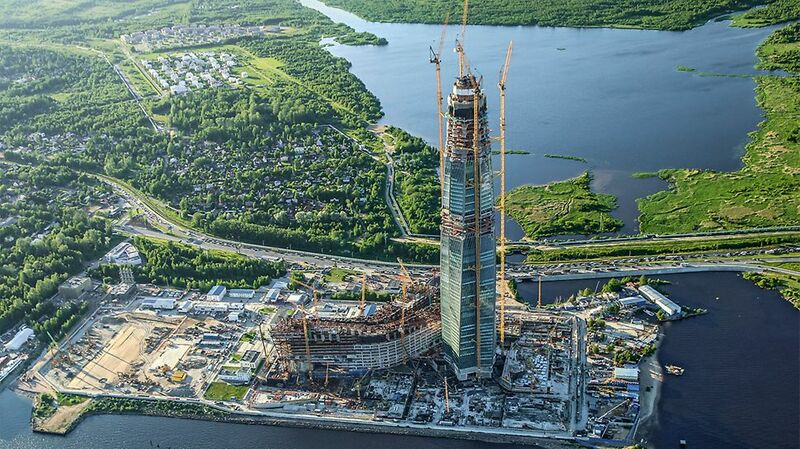 PERI thus had a key role to play at the Lakhta Center.